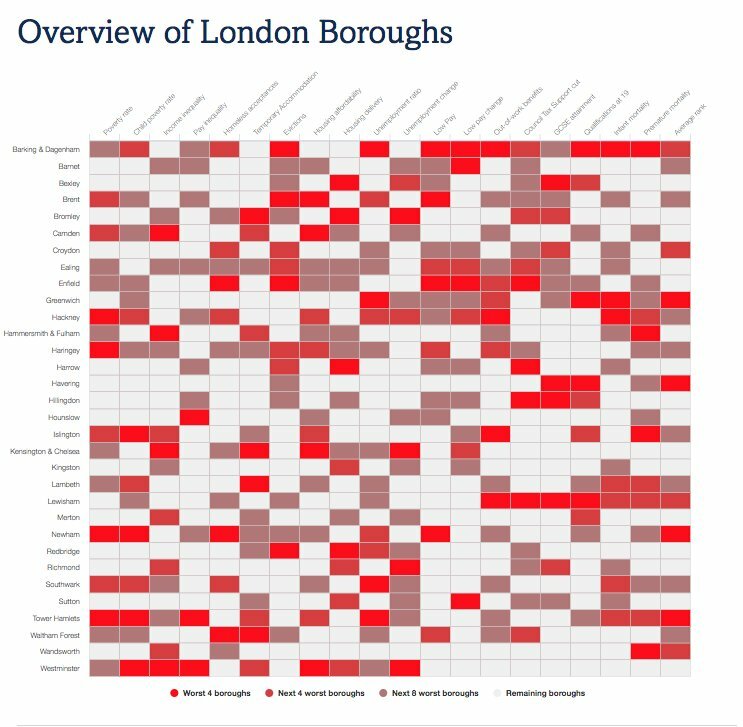 The data is for London and is a three year average from 2014 to 2016. The proportion of employees of each ethnic group that are paid below the LLW and the share of low-paid employees that this represents. Low pay rates vary substantially among ethnic groups. The low pay rate for Bangladeshi and Pakistani employees, at 46%, is more than double the rate for White British employees at 19%. Those from Other ethnic groups and Black/African/ Caribbean/Black British have the next highest rates of low pay, at 37% and 35% respectively. The ethnic make-up of the working-age population means that the low-paid workforce as a whole looks different from what the numbers above might suggest. The largest group of low-paid workers are White British who make up 34% (310,000) of the low paid. 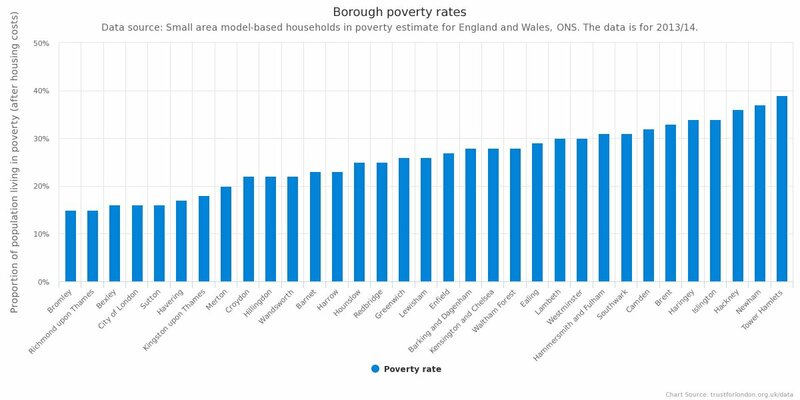 This is a reduction on several years ago and the last London Poverty Profile report, which reflects that the proportion of employees who are White British has fallen. Other White and Black/African/Caribbean/Black British also make up a substantial proportion of the low paid, at 19% (180,000) and 15% (140,000) respectively. Conversely, Pakistani and Bangladeshi employees only account for 6% (58,000) of the low-paid workforce.